A Lyubov Orlova filmography appears at the bottom of this article. A misguided assumption about Soviet cinema, which still persists, is that it’s a national cinema mostly comprised of depressing war dramas in which popular genres were neglected and even suppressed. This is certainly not the picture of Soviet cinema I remember when, growing up in 1960s Bulgaria, I could enjoy a fair share of popular films, like the Soviet action-adventure Neulovimyye mstiteli/The Elusive Avengers (1966) or Yuri Nikulin’s superb comedies, all playing in theatres alongside the comedies of Louis de Funès or Raj Kapoor’s ever-popular weepy Awara/The Vagabond (1951). A highlight was Eldar Ryazanov’s musical, Karnavalnaya noch/Carnival Night (1956), with Lyudmila Gurchenko’s unforgettable dancing and singing. Made several years before I was even born, Carnival Night was so popular that by the time I started watching movies it was still regularly playing in theatres as well as being shown on television. Here, a buoyant and beautiful Lydmila Gurchenko leads a group of amateur actors to undermine the plans of the Culture Ministry and its boring leadership in order to turn a New Year’s Eve celebration into an exciting vibrant extravaganza, with confetti, sparklers and crackers. It was only later, in my teenage years when I started visiting the Sofia Cinémathèque, that I realized how Carnival Night in many aspects replicated Grigoriy Aleksandrov’s musical extravaganzas of the 1930s. And that Lyudmila Gurchenko’s captivating performance followed in the footsteps of Stalinism’s shining star, Lyubov Orlova, whose charismatic presence in Soviet popular classics, all directed by Aleksandrov, like Vesyolye rebyata/The Jolly Fellows (1934), Tsirk/The Circus (1936), Volga-Volga (1938) and Svetlyi put/The Shining Path (1940), had kept a massive Soviet audience fascinated and bedazzled throughout the 1930s. Lyubov Orlova was probably the most glamorous and popular actress of Soviet cinema. In possession of bright eyes and shining teeth, high cheekbones and immaculate skin, she was good looking and emanated exuberant health. She was a proficient dancer and singer, her smile was irresistible and her charisma unsurpassed. Her name, Lyubov, meant ‘Love,’ and she remained an object of great admiration throughout her lifetime and beyond. Lyubov Orlova was born on 29 January 1902 in Zvenigorod, Russia. Descendant from an old Russian aristocratic family (and thus of a background that had little to do with the proletarian heroines she later played), she boasted a pre-revolutionary childhood photograph alongside count Leo Tolstoy at his estate in Yasnaya Polyana, and at the age of ten she had had the chance to perform in front of famous Russian opera singer Fyodor Chalyapin. After graduating from the Moscow Conservatory in the mid 1920s, she began an active stage career. Until the end of her life she acted on and off in musicals on the stage of Moscow’s Nemirovich-Danchenko operetta theatre. 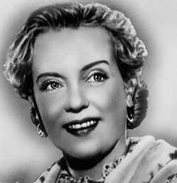 Orlova died shortly before her 73rd birthday, on 26 January 1975. Even though she appeared in several other films, Orlova is almost exclusively remembered for her roles in the famous Soviet musicals directed at the height of Stalinism by her husband, Grigoriy Aleksandrov (1903-1984). In these films, a singing and dancing Orlova typically represents a girl of humble origins who attains high ranking in Soviet society through the right combination of talent, hard work, assertiveness, politically correct ideas, and an unshakable faith in a bright future. The plots traditionally made use of classical Cinderella and ‘ugly duckling’ storylines that gave Orlova the opportunity to shine at the end, not unlike Ruby Keeler in 42nd Street (Lloyd Bacon, 1933). Aleksandrov began as an assistant to Sergei Eisenstein and collaborated on Bronenosets Potemkin/Battleship Potemkin (1925), Oktyabr/October (1927) and Staroe i novoe/ The General Line (1929). Sponsored by American writer, Upton Sinclair (who turned producer for the occasion), in the early 1930s, Aleksandrov and Eisenstein spent a number of months in the United States (New York and Hollywood) and in Mexico. They researched, wrote and shot the film ¡Que Viva Mexico! (1932), a remarkable avant-garde project that mixed fictional and documentary sequences but remained unfinished due to prolonged copyright disputes. During his stay in America, Aleksandrov came to appreciate Hollywood’s entertainment output and was particularly fascinated by Busby Berkeley’s elaborate lavish choreography for the musicals directed by Mervyn LeRoy, Leo McCarey and others. Back home, Aleksandrov set out to develop a Soviet version of the musical genre, one that would successfully combine entertainment with ideological functions. He put together a more or less permanent team comprised of lyricist, Vassilii Lebedev-Kumach, and cameramen, Vladimir Nilsen and Boris Petrov. Most importantly, however, a permanent member of the team was composer, Isaak Dunayevsky, who authored some of the most prominent popular Soviet melodies of all times. Each musical which Aleksandrov and Dunayevsky made together contained at least one melody that was so popular it is still known today by every Russian (and maybe even former Soviet) citizen. Aleksandrov never managed to find a male actor who would become the Soviet Bing Crosby. However, he succeeded with a female lead. His wife, Orlova, became the shining star of these musical comedies, gradually attaining popularity and breaking all records toward the end of the 1930s. Originally fashioned after Marion Davies (as seen in Going Hollywood [Raoul Walsh, 1933]), Orlova can be best described to Western audiences as a cross between Mary Pickford (who had been particularly popular in the Soviet Union during the 1920s) and Ginger Rodgers (even though she looked more like Marjorie Reynolds). It may appear paradoxical that the musical genre flourished during the 1930s, an era that saw the darkest Stalinist ideological control, with the Zhadnovist doctrine of socialist realism, as well as with the orchestrated purging of scores of freethinking intellectuals. 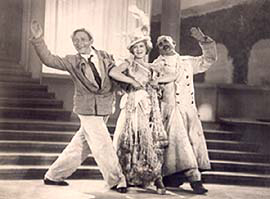 The making of musical comedies was encouraged by a decree which Boris Shumiatski, administrative head of Soviet cinema at the time, had issued in 1935 recommending that filmmakers focus on making popular “movies for the millions”. (The tradition of state socialist musicals is discussed in Dana Ranga’s documentary East Side Story ). In the context of this drive toward fostering Soviet popular culture, Aleksandrov’s musicals can be classified as a prime example of escapist cinema; even though they featured class-conscious plots and storylines, the ultimate goal in each was to allow Orlova to shed her proletarian rags and triumph in all her dazzling glamour on a brightly lit stage. The first film in which Orlova starred was The Jolly Fellows where she was relegated a secondary albeit important role. The lead is played by vaudeville actor, Leonid Utyosov, appearing as a Crimean shepherd who is mistaken for a famous musician. The Jolly Fellows is a comedy of errors, commencing at a Black Sea spa frequented by leisure-class Muscovites enchanted by a carefree rustic ambiance. The peasant Kostya (Utyosov) in a sheepskin hat plays his panpipe, sings and dances joyously amidst friendly animals and cheerful villagers. A series of mix-ups takes Kostya to the capital where, again by mistake, he ends up on stage of the state musical theatre and delivers a brilliant performance in the new stage show. Here, Orlova is the clumsy Anyuta, Kostya’s side-kick who, once in Moscow, is miraculously transformed and triumphantly marches on stage, singing the memorable Dunayevsky melody, the upbeat Jolly Fellows, in front of raving audiences. But it was only in Aleksandrov’s next film, Circus, that Orlova came to occupy the spotlight, with her full glamour revealed. Here she plays Marion Dixon, a blonde American entertainer-bombshell who becomes a victim of US racism after giving birth to a black baby and is forced to flee into exile. In a prologue, Marion is shown being chased and barely escaping a crowd of angry American white men who want to lynch her and her newly born. The core action of the film takes place only a few years later, in the Soviet Union of the mid-1930s. Marion Dixon is seen arriving in Moscow as a member of a travelling circus company run by a German manager, von Kneischitz. While in Moscow, she falls in love with a Soviet man and starts thinking of leaving the circus and settling in the USSR. Von Kneischitz, however, is not thrilled by the idea of losing the main attraction of his show, so he threatens to disclose the existence of Marion’s black child, which will supposedly immediately put off the new lover. After a confrontation between the German and the Russian all is happily resolved. Marion’s ‘dirty secret’ is revealed, and rather then shunned, her black son is embraced by the friendly members of the Soviet audience who even begin singing a lullaby for him. Circus featured impressive choreography and some of the most popular Soviet songs of all times, including the patriotic hymn “Shiroka strana moja rodnaja”/”My wide home country” which was an unofficial Soviet anthem for decades. More importantly, however, the film disseminated several important ideological messages: it proclaimed the superiority of communism over capitalism (by exposing the materialist priorities of the Americans and the circus manager); it emphasised the antagonism between communism and fascism (by juxtaposing good Soviets and the bad German von Kneischitz); it indicated that the Soviet Union had overcome racism (confirmed by the unreserved acceptance of Marion’s black boy); and it represented the USSR as a dream shelter for all victims of social injustice worldwide. The last two ideological assertions are particularly significant given the reality of the day, and the fact that many international sympathizers who came to the Soviet Union around that time perished in camps or were exiled to remote areas like Siberia and Central Asia. It is beyond my historical competence to judge to what extent Orlova and Aleksandrov might have been familiar with the real situation of foreigners (or blacks) in their homeland. If they knew of the treatment these people were given, Circus should be regarded as a reprehensible example of monstrous propaganda. My contention is that most likely they were not aware of the full extent of these repressions. This conveniently oblivious attitude toward Stalinist terror, however, could no longer be maintained by the time of the next musical extravaganza Volga-Volga, which starred Orlova as a provincial mail woman rising to stardom. The film was made at the height of Stalinist repression; some of the people who worked on it were purged, their contribution never credited. At the same time, Volga-Volga is believed to have been Iosif Stalin’s favorite film (reportedly, Stalin had even made some recommendations during filming). Like The Jolly Fellows, Volga-Volga is also a rags-to-riches story, with Orlova cast as the cheerleading letter carrier ‘Strelka’ Petrova, an amateur performer from the small town of Melkoretchensk. ‘Strelka’ (‘Arrow’) undertakes the great journey up the Volga and, on the way, overcomes various obstacles to finally reach the capital and successfully confront, challenge and overtake the high-brow bureaucrats who are trying to suffocate the popular amateur theatrical movement that she is part of. Here buoyant Orlova plays alongside Soviet star Igor Ilinskiy, a veteran from Meyerhold’s theatre (who had also appeared as Goga, the Russian man kissed by Mary Pickford in the 1927 Potselui Meri Pikforda/Mary Pickford’s Kiss, an early Soviet blockbuster with American involvement). A prime example of exhilarating Soviet propaganda, Volga-Volga has been under extensive critical scrutiny for its exaggerated and idealized representation of Soviet provincial life. The last in the cycle of Alexandrov/Orlova musicals, Shining Path, is seen by specialists as the epitome of Stalinist glorification. It is yet another socialist Cinderella-type plot: Tanya Morozova (Orlova) is a simple weaver in a textile factory located near Moscow; she becomes a shock worker and ends up in Kremlin where she is awarded the highest Soviet medal, the Order of Lenin; she is then sent by the comrades to train as an engineer; at the top of her ascent she is elected a member of the Supreme Soviet. By the time of Shining Path, Orlova was clearly established as the ultimate glamour star of Soviet cinema. Her first biography was also published around that time (Zel’dovic, 1939). At the same time, however, a new kind of popular musical/comedy was gaining popularity, mostly made by director Ivan Pyryev and with a new star, Marina Ladynina. Ladynina’s rise barely threatened Orlova’s established position; moreover the two actresses differed significantly from each other. Yet, it was Ladynina’s turn to step into the limelight of Soviet musical comedy. Unlike dazzling mega star Lyubov Orlova, Ladynina was a comedienne with a special talent for character parts. She was a short, fast-talking, funny, down-to-earth girl with intense blue eyes and a turned-up nose, usually surrounded by an entourage of cheerful peasant girlfriends. While Orlova’s natural milieu was the world of elaborate stage performances involving lavish interiors and glamorous gowns, Ladynina’s world was inhabited by Stakhanovite shock workers, amateur wood carvers, and good-natured shepherds (as seen in films such as Traktoristy/Tractor-Drivers  and Svinarka and pastukh/Swineherd and Shepherd ). Similarly, while Aleksandrov’s films were considered to be more refined entertainment, Pyryev’s conveyed far less sophisticated propaganda messages and look particularly implausible and contrived from contemporary standards. Furthermore, while Aleksandrov’s films had to accommodate Orlova’s specific characteristics by having her transform from a working class girl into a glamorous socialite, Pyryev’s films featured a Ladynina who was fully comfortable within her working class milieu and easily able to contribute to the cinematic hyperbolisation of prosperity and happiness of Soviet life at collective farms. Film historian, Neya Zorkaya (1989), has noted that even though the films starring Ladynina were marketed as true to life, they neglected realist criteria and promoted a myth of high achieving Kolkhoz mode or production at times when agriculture was undergoing a serious crisis. World War Two caused a significant interruption in Orlova’s work by imposing an involuntary career-break at a time when she was at her most active. After the war, now over 40, she starred in the romantic comedy Vesna/Spring (1947), alongside the titan of Soviet cinema, Nikolai Cherkassov (best-known for the roles of Alexander Nevsky and Ivan the Terrible in Eisenstein’s masterpieces). In Spring, Orlova played a double role: on the one hand she was scientist Irina Nikitina, and on the other, the actress Vera Shatrova, who is supposed to play a character prototyped after Nikitina. Meant to entertain, the film revolves around endless qui-pro-quos and moves in luxurious interiors far from the drab post-war Soviet reality. In the 1952 biopic of Russian composer Glinka, a film in which pianist Svyatoslav Richter had a cameo as Franz Liszt, a mature Orlova appeared as the musician’s wife. This was her penultimate role for the cinema. The previous year she had appeared in a supporting role in yet another musical biopic, this time of composer Mussorgsky and before that in the war drama Vstrecha na Elbe/ Meeting on the Elbe (1949). Her final role was in Aleksandrov’s Skvoretz i Lira/ Starling and Lyra (1973). 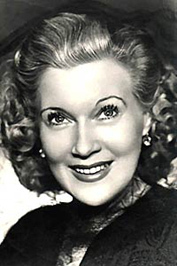 Orlova worked in theatre until her death in 1975. She was survived by Aleksandrov, whose last film was a documentary biopic, Orlova (1983), dedicated to her memory and made shortly before his own death. Her grave at the Moscow Novodevichye cemetery is still frequented by admirers. During her lifetime, Orlova rarely gave interviews and thus avoided being asked questions she would rather not answer (Bogomolov, 2002). It is particularly difficult to draw conclusions on issues such as her attitude to Stalinism, an area of utmost importance for understanding and evaluating her career. In the annals of Russian cinema, Orlova’s name would be listed immediately after that of silent screen legend Vera Kholodnaya (1893-1919), and would be followed by such serious actresses as Faina Ranevskaya (1896-1984) and Vera Maretskaya (1906-1978). The only Russian actress, however, whose profile can be said to resemble Orlova’s is Lyudmila Gurchenko (b. 1935) who sustained a similarly glamorous and yet much more versatile career. But while Gurchenko became a leading Soviet star in her own right, she never reached the popularity of Orlova. The post-war stars of Soviet cinema – like Nonna Mordyukova (b. 1925), Tatiana Samoilova (b. 1934), Margarita Terekhova (b. 1942), Inna Churikova (b. 1943) and others – were all very different from Orlova in that they hardly projected a glamorous, popular image and instead focused on appearing in ‘art cinema’ roles. Zel’dovich, G. Liubov’ Orlova, Moscow: Goskinoizdat, 1939. (In Russian). Turovskaya, Maya, “The Strange Case of the Making of Volga, Volga,” In Horton, Andrew (ed. ), Inside Soviet Film Satire: Laughter with a Lash, Cambridge: Cambridge University Press, 1993. pp.75-83. Ratchford, Moira, “Circus of 1936: Ideology and Entertainment under the Big Top,” In Horton, Andrew (ed. ), Inside Soviet Film Satire: Laughter with a Lash, Cambridge: Cambridge University Press, 1993. pp. 83-94. Zorkaya, Neya. The Illustrated History of Soviet Cinema, New York: Hipocrene Books, 1989, pp.144-163. Dina Iordanova has published extensively on Eastern European and Balkan cinema. Her most recent books are Cinema of Flames: Balkan Film, Culture And The Media (BFI, 2001) and Emir Kusturica (BFI, 2002).